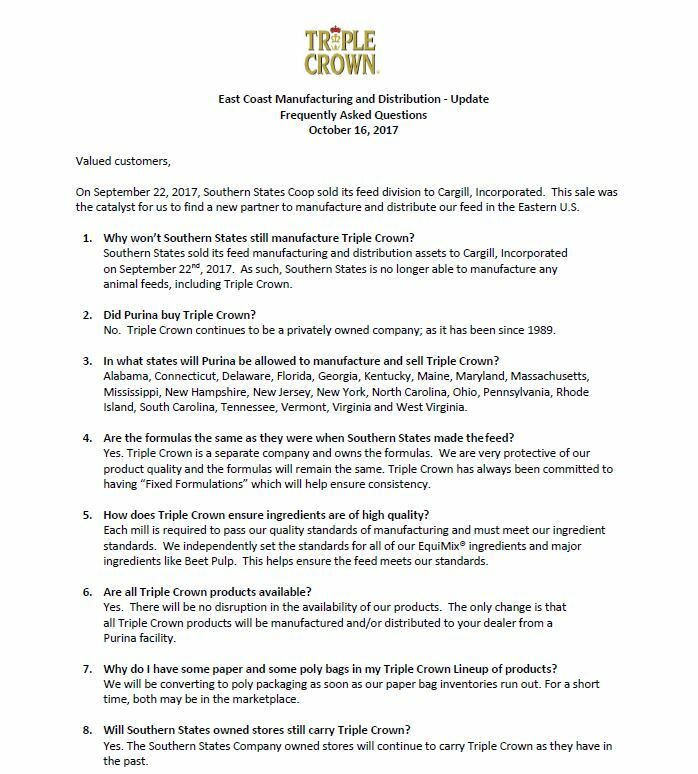 Purina Animal Nutrition LLC and Triple Crown Nutrition, Inc. have entered into a manufacturing and distribution agreement exclusive to the Eastern U.S. We wanted to help address some questions that our Triple Crown fans have asked about the new distribution changes happening in this area. We are excited about this new relationship and we’re looking forward to continuing to serve your horses needs well into the future. 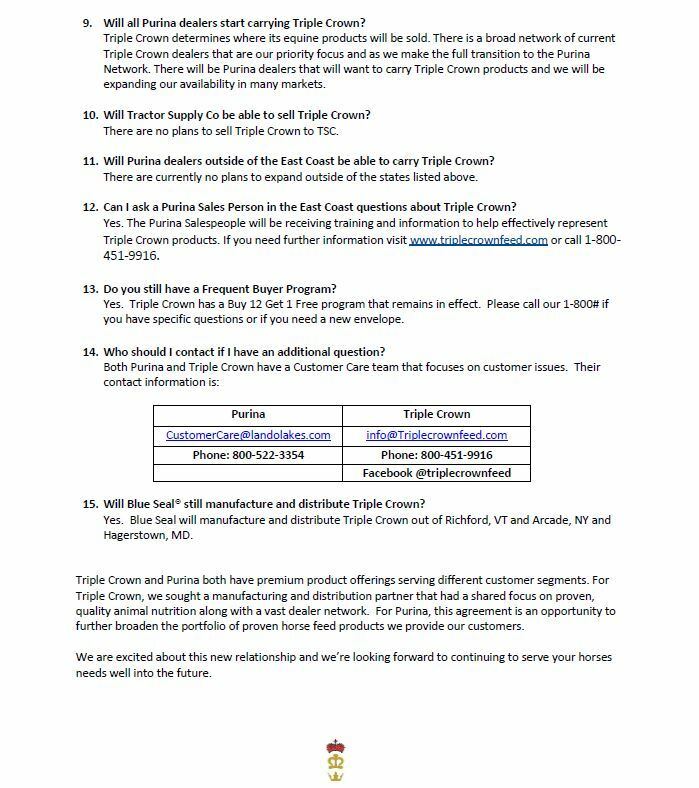 For Triple Crown, we sought a manufacturing and distribution partner that had a shared focus on proven, quality animal nutrition along with a vast dealer network. For Purina, this agreement is an opportunity to further broaden the portfolio of proven horse feed products we provide our customers. By working together, we will give dealers and horse owners access to more feeding options. Please contact us directly via info@triplecrownfeed.com or call 800-451-9916 if you have any questions.